IMEDAL 2015 July 21th to 24th. 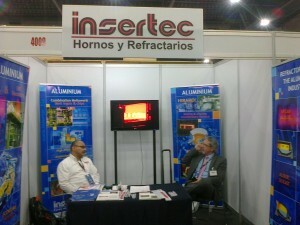 INSERTEC, Were with small stand. ALTERNATIVE OF FUSION IN THE SMELTING OF ALUMINIUM. Advantages and limitations of different technologies and trends in the market of aluminium casting. DECOATING PROCESS FOR CANS, PROFILES & ALUMINIUM SCRAP. HIgh efficiency in the decoating process and its optimization for the recycling of scrap aluminium.